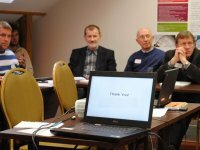 Results from the Baltadapt stakeholder workshops on "Climate knowledge in the eastern Baltic Sea Region"
How are climate change and climate adaptation perceived by decision makers in the Eastern parts of the Baltic Sea Region? What will be the impact of climate change particularly for the coastal regions and how can local actors prepare for it? What knowledge is available and what measures are already being implemented successfully? These questions were addressed at a series of workshops organized by the Ecologic Institute in collaboration with various partners at the end of October 2011. 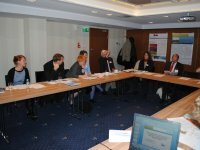 The workshops in Gdańsk, Klaipeda and Riga formed a joint activity of the projects Baltadapt, RADOST and "Regional availability of climate data in the Baltic Sea States (Circum Mare Balticum)". 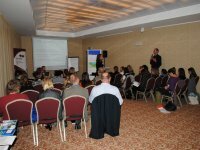 At each workshop, first information on the topics of climate change and adaptation was provided, with the regional focus of the workshop. 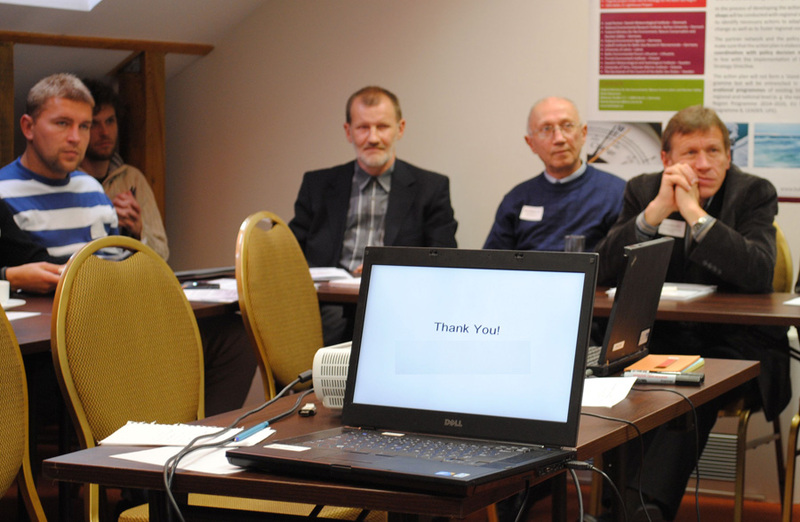 For this purpose, both presentations by participants from Germany and the Baltic countries were given. In two workshops, ad-hoc surveys were conducted among the participants about their perceptions of climate change and climate adaptation. Using a new technique, the results could immediately be made visible, which allowed a direct discussion of exciting or surprising findings. 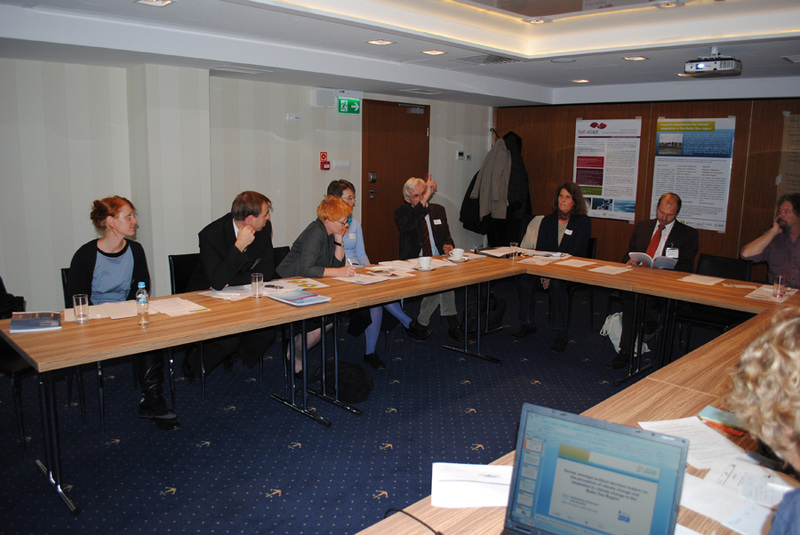 The discussions showed differences in the perception of climate change impacts also between the regions. Adaptation to climate change is of different level of interest within the countries. It became clear that it is an issue of concern among the participants, it was however stated, that there is often a lack of political will or interest to take comprehensive measures of mitigation and adaptation among the decision makers. 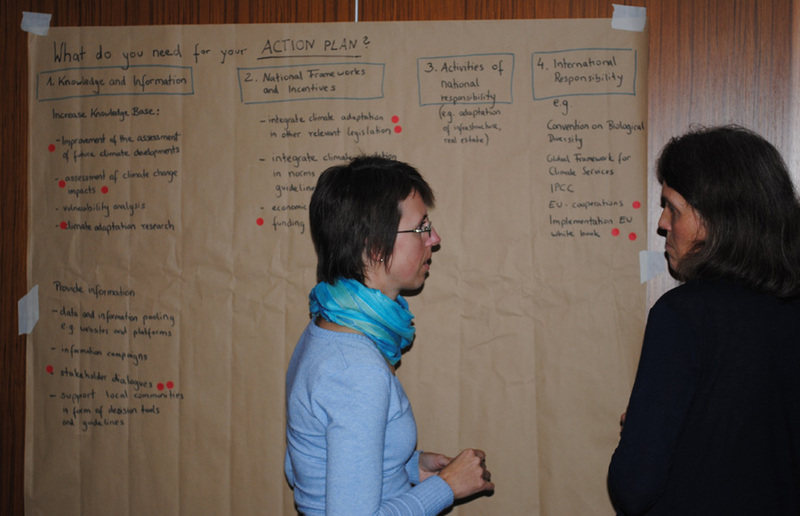 The participants stated several demands to increase awareness and improve climate adaptation in their countries. 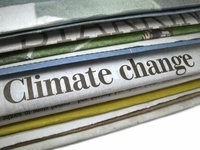 Although the knowledge about climate change and potential impacts of climate change exists, better communication and information structures are needed. The existing knowledge about climate change must be made better understandable and comprehensible for local authorities and the public. Greater support from the EU, such as suited funding sources for possible adaptation is called-for by the local stakeholders as well. 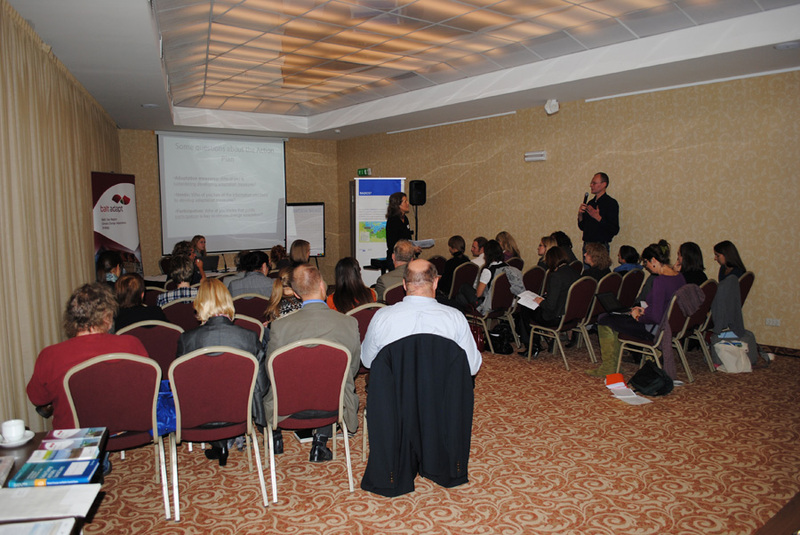 Furthermore, some good examples of regional adaptation measures were presented. 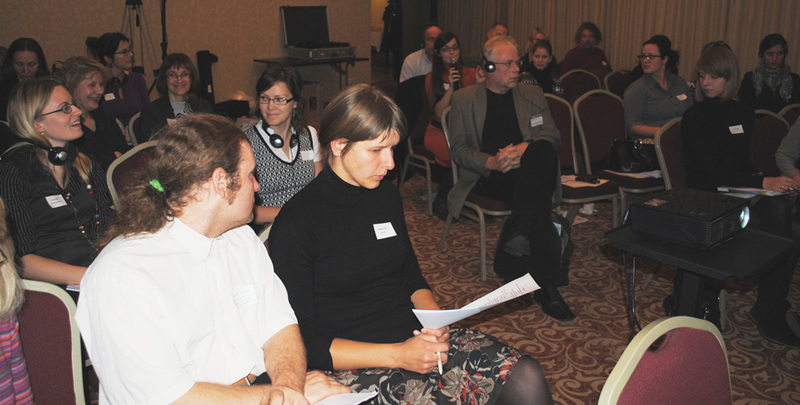 Justas Kayz of the Vilnius University reported on activities in the river valley “Smeltale” and Andris Urtans (Environmental Protection Agency, Latvia) reported on activities in the community Salacgriva (Latvia). He stressed how important the involvement of local people was for example in the restoration and recovery of the self-purification capacity of small rivers in the region and how thereby the legitimacy of these measures in the perception of the population could be increased. 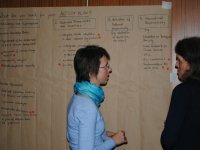 With regard to future research activities the results of the workshops can be divided in two main fields: One is the understanding of the information needs of decision makers and the public and the other is the conversion of existing climate knowledge into understandable and usable information for the target group.